It happens all the time. For example, you might have noticed this pattern playing out online when someone said they thought Caitlyn Jenner was “brave,” just to be met with a bunch of comments about what REAL bravery looks like–Firemen, Soldiers, Cancer Survivors, etc…. But imagine if people did this with everything. Like if I said, “So & So is kind.” And then someone else said, “So & So isn’t kind! WHAT’S-HER-FACE IS KIND!! !” If someone said something like this, they would be universally recognized as a complete douche, right? One person’s virtue is not negated or diminished by the fact that you think you know someone who possesses a greater degree of that same virtue. First of all, this is what racism looks like. And secondly, if people aren’t allowed to be upset by anything else each time a police officer shoots another unarmed black person, then there is going to be very little time to get upset about other stuff. And the same sort of thing is happening right now. A story came out recently about a beloved lion in Africa named Cecil being killed by a wealthy U.S. dentist from Minnesota. And people (rightly, I believe) were outraged. 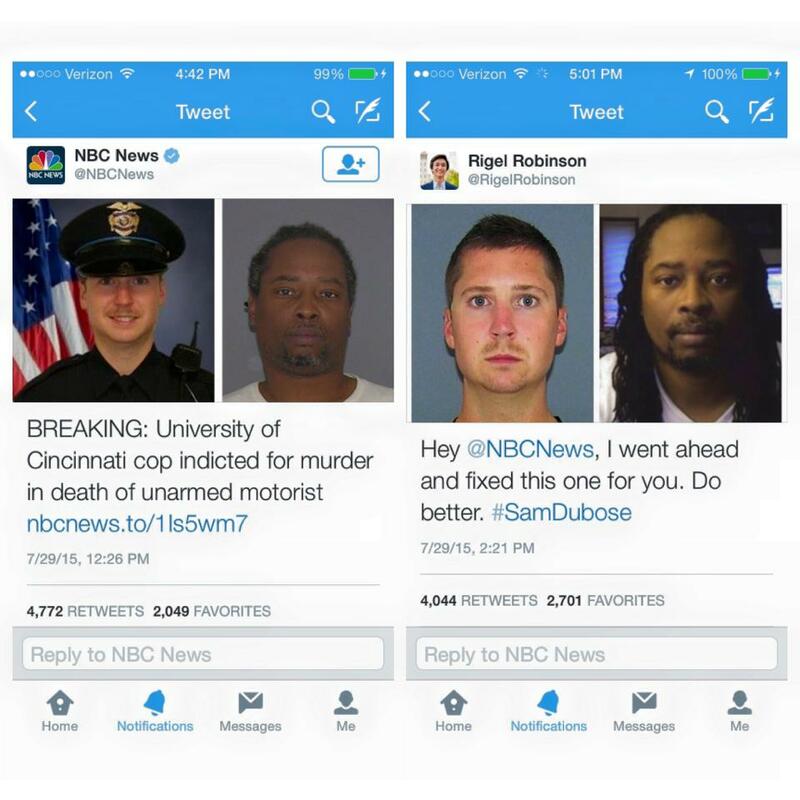 This story happened to coincide with a story about yet another unarmed black man being murdered by police. Immediately, there were thousands of voices saying things like, “I wish we cared about black lives as much as we care about lion’s lives” and “BlackLives > LionLives.” And from the other side, there are shouts of “How can you be upset about some lion when we’re aborting all these babies?” and “If you really think that ‘Black Lives Matter,’ you should be voting Pro-Life.” And on and on and on…. Basically, people are saying “You shouldn’t care about THAT. 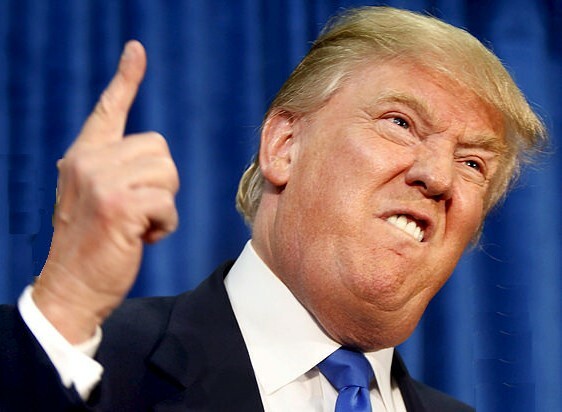 You should care about [Insert Your Cause Here]—Racism, Abortion, Gun Control, Human Trafficking, The Death Penalty, Police Brutality, Economic Inequality, Gay Rights, Immigration, Climate Change, ISIS, Cancer, Homelessness, Mass Shootings, Alzheimers, Autism, Alcoholism, Healthcare, National Debt, Muslim Religious Extremism, Christian Religious Extremism, Animal Rights, Donald Trump, Hillary Clinton, or even insignificant stuff like War, Poverty, Genocide, and Lack Of Clean Drinking Water. But I think folks who are getting mad when people care about the “wrong” things are missing the point. There is so much indifference in the world, we should be celebrating every time people care about anything outside of themselves. 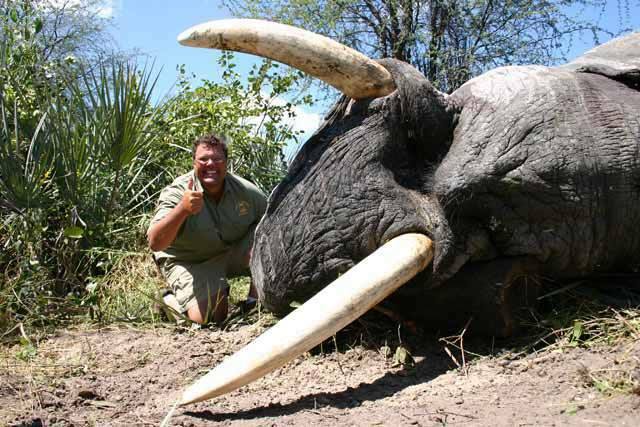 This is a picture of Jimmy John Liautaud, owner of Jimmy John’s, bravely squatting next to an elephant he just killed…. Just in case you don’t feel like supporting his trophy hunting habit anymore. There’s a lot of stuff in the world to be care about. If you are one of the people who was genuinely horrified by the story of this dentist killing this lion–Just in case no one has told you yet–IT IS OKAY FOR YOU TO CARE ABOUT THAT. There are a lot of reasons to get upset about this story. Some rich, sadistic jackass paid $55,000 to kill a giant, healthy, beautiful animal that was living in a protected national park. 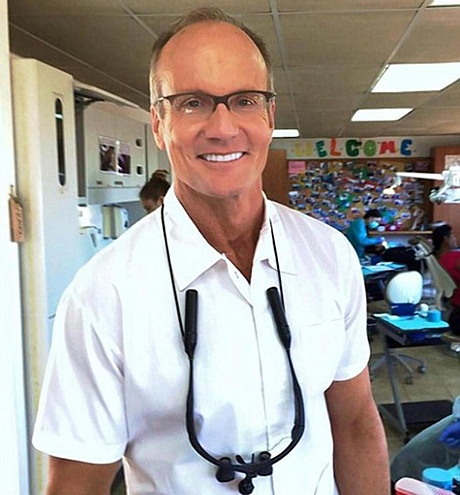 They lured him out of the park by dragging a carcass behind their truck, they shined a spotlight on him as he ate, and then Walter Palmer shot him with a crossbow as he ate his dinner—missing his vitals, and sending him running away and dying slowly while they tracked him for 40 hours. Then they skinned him, cut his head off as a trophy, and attempted to destroy the radio collar he was wearing. 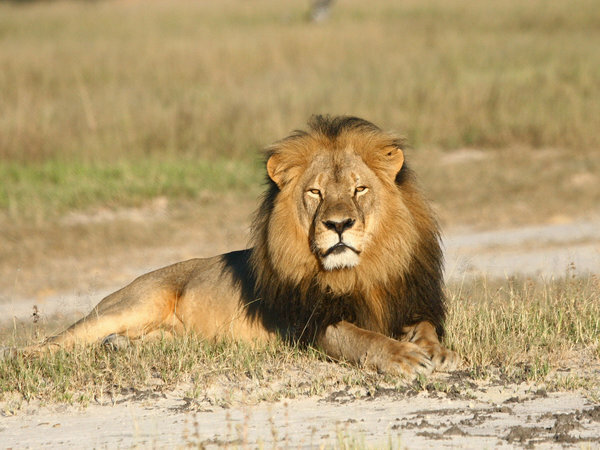 And if you’re not outraged by Cecil being killed, that doesn’t make you a bad person either. While I was talking about this story, my wife said, “I think my ‘carer’ is full….” Some people don’t have the capacity to care about another thing. And that’s okay too. Here’s the thing: If you kill an animal for fun, it doesn’t make you a “hunter.” It makes you a person who fits the description of a serial killer. And it makes you a really gross human being in my opinion, but it doesn’t make you a hunter. Imagine me posting a picture of myself with a neighborhood dog I had just killed…. What kind of psychopath does something like that? And I eat meat. For me, there are two reasons to kill an animal: 1) If that animal is trying to kill you, and 2) If you’re using it for food. And I realize some of you might think I’m being a hypocrite to think it’s okay to use an animal for food, but not for the joy of having its dead carcass decorate my billiards room… and you may be right. But on the spectrum of things from morally questionable to morally reprehensible, shooting an elephant so that you can show your friends a picture of yourself next to the animal you just killed is way closer to “reprehensible” than eating a hamburger. 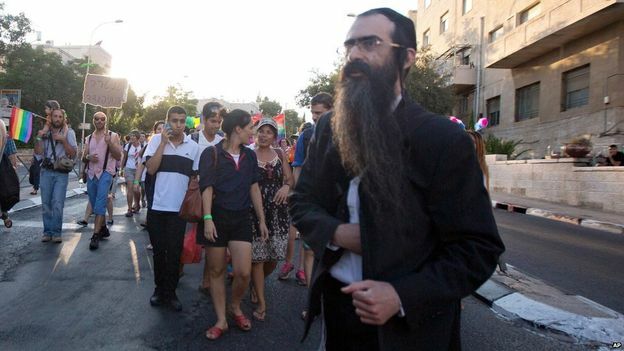 Say what you want about this guy…. he’s got himself some nice teeth. The frustrating this is that really, unless I write this within about 2-3 days of the story, it probably won’t matter anyway, because the vast majority of people will have forgotten all about it. But getting upset at injustice is a good thing…. Even if you know of a greater injustice. Of course a lion getting killed is not as tragic as a human being getting killed—Of course black lives matter more than lion lives matter. And I understand that for those of you who view abortion as the single most important issue, seeing someone pitch a fit about a dead lion on the other side of the planet while seemingly ignoring babies dying here might seem like the height of hypocrisy. But I’ve got news for you: People could just as easily accuse either of these groups of not caring about the “important” stuff as well. There are three countries in Africa where over 20% of the population is HIV positive. There are about 358 million people in Africa without access to clean drinking water, and this is a problem we could fix fairly easily…. If we cared. In fact, just the money Americans spend on one “Black Friday” would be enough to provide every person on the planet with clean drinking water. And drinking dirty water kills thousands of people every day. That’s a lot of black lives…. And that’s a lot of babies. Who knows…. Maybe if something inside of you starts thinking that a lion’s life matters, you might ask yourself the question, “What other things matter?” Those of us who find ourselves, more and more, caring about things outside of ourselves–We must remember what it was like for us when our consciousness was growing–When (whether it was from ignorance or indifference or just plain old selfishness) we didn’t care as much as we should have. And we can congratulate–we can cheer on–those other people whose souls are learning to love…. Whose souls are growing…. Whose consciousnesses are expanding. That is something to celebrate. 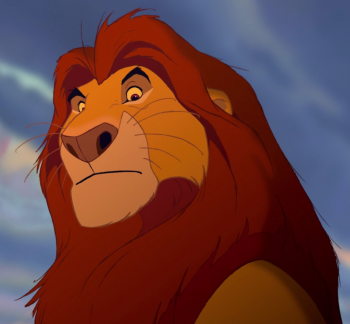 Getting mad at someone for caring about this lion being killed without showing enough outrage over Sam DuBose being murdered is like me getting angry at a baby for crawling instead of running. Most of the time, people need to learn to crawl before they learn to run. Celebrate every step toward running! This entry was posted in 1) Jesus, 2) Politics, 5) Not Quite Sure and tagged Abortion, BlackLivesMatter, Caitlyn Jenner, Cecil The Lion, Dentist Who Killed Lion, Sam Dubose, Simba, Trophy Hunting, Walter Palmer. Bookmark the permalink. You always put things in perspective. Beautifully said.